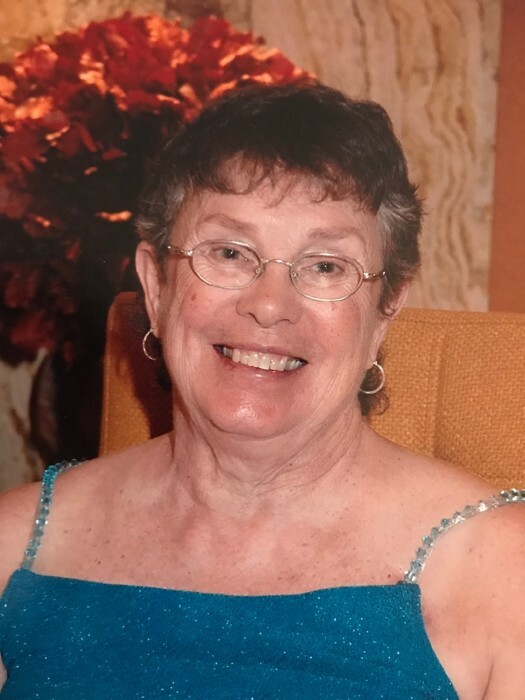 Donna M. Weyenberg, age 79, of Freedom, passed away peacefully surrounded by her loving family on November 29, 2018. She was born on October 28, 1939, daughter of the late Marshall and Marjorie (Dixon) Gloede. Donna married Gene Weyenberg and together they celebrated 58 years of marriage before his passing in 2016. Donna was an executive at Wisconsin Employers Group in DePere for many years before her retirement. She and Gene enjoyed many happy times together at their home on Moshawquit Lake, where they welcomed family and friends and created many good memories. They enjoyed traveling with family and friends. Donna was an avid reader and truly loved spending time with her grandchildren. She was always up for a big hug and enjoyed receiving them. Donna is survived by her children: Kristi (Jim) Kirk, Cheryl Van Grinsven and Glen (Beth) Weyenberg; 10 grandchildren: Mike, Luke, Lyndsey (Keaton), Amber, Matt, Geoff, Mark, Troy, Hailey and Lexi; 3 great grandchildren: Carter, Ava and Erynn; brothers: Don (Nancy), Denis (Sheri) and Dixon (Carlene) Gloede; in laws: Bob Weyenberg and Shirley (Joe) Geurts; many nieces, nephews, other relatives and many friends. Donna was preceded in death by her parents, Marshall and Marjorie; son-in-law, Bruce Van Grinsven; a sister, Dorothy Young; father and mother-in-law: Eugene N. and Pauline Weyenberg; and a sister-in-law, Florus Weyenberg. Memorial services will be held at 3:30 p.m. on Friday, December 7, 2018, at St. Nicholas Catholic Church, W2037 County Road S, Freedom. Visitation will be at the church from 1:30 p.m. until the time of the Mass. In lieu of flowers, a memorial will be established in Donna’s name. For online condolences, please visit www.verkuilenfh.com. The Weyenberg family would like to extend a special thank you to the staffs of Heartland Hospice and Aspire Senior Living for all of the compassionate care given to Donna.